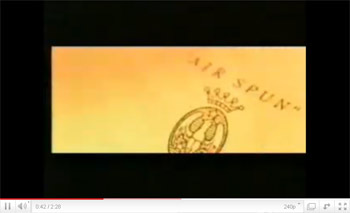 The following centennial celebration video was created to commemorate the 100 year anniversary of Coty. 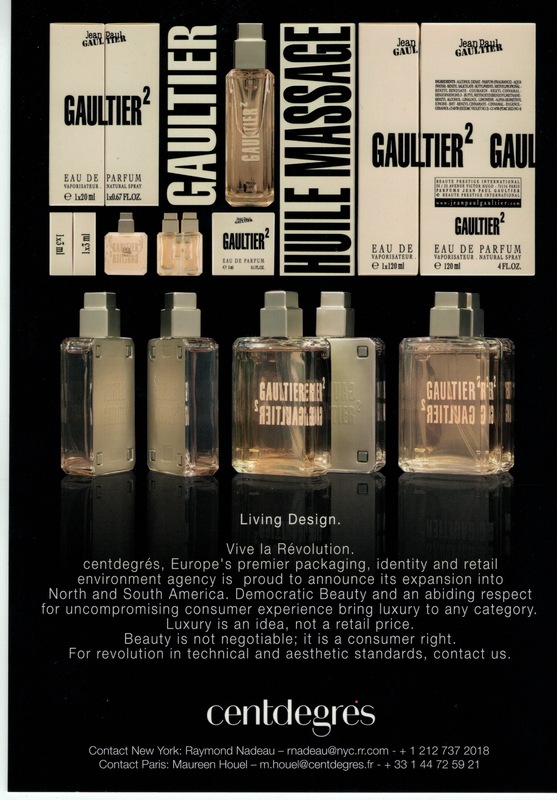 Role: Global Creative Director, Coty Inc.
001Coty - A concept fragrance benefiting Parsons, The New School for Design. See Portfolio for Case Study. 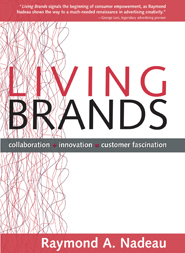 Centdegres is one of Europe's premier branding agencies. 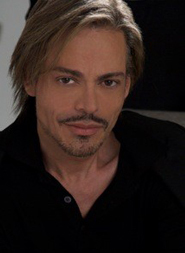 Acting in both Europe and the United States, I introduced them into North America. 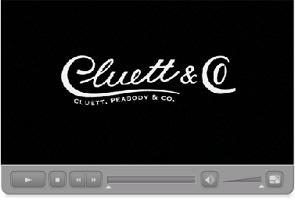 The attached corporate video/fashion editorial/style guide was created for the President of Cluett and Company ­ who recounts the history of one of America¹s oldest apparel brands. 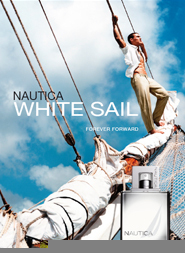 The brand has been dormant but is now recently re-launched as an exclusive new brand in Dillards Department Stores. 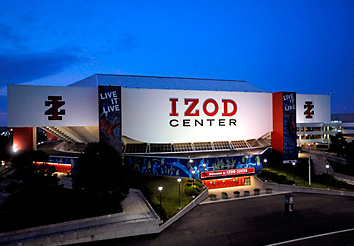 Izod is the proud sponsor of one of America’s premier entertainment facilities. To underscore the values of the brand and to announce that the center would be featuring live entertainment as well as sporting events, I worked with the Izod internal team to help reposition the brand, resulting in the tag line: “Live It Live” which has become a permanent element in the venue’s branding and signage. Countless legendary moments in sports and entertainment history have taken place in the IZOD Center. The Devils have won three Stanley Cups and the Nets advanced to the NBA Finals two years in a row. 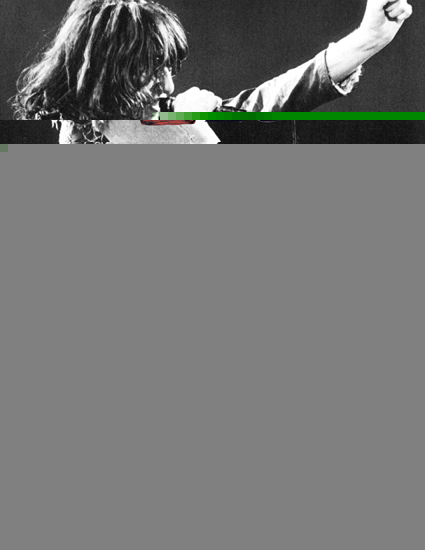 The IZOD Center has been graced by some of the greatest stars in modern music. It boasts a state-of-the-art acoustical structure designed to provide audiences with excellent sound and an optimum view no matter where they're seated. Genetic denim, created from the highest quality Japanese cotton, are arguable some of the most comfortable, form-flattering jeans in the world. 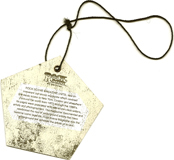 To emphasize the tactile quality that differentiates the brand, we created a fashion week experience designed to indelibly etch both the quality and the emotion of the brand. 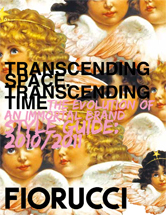 Fiorucci is one of the world’s most iconic brands – having, among other milestones, predated the idea of modern concept stores by at least a quarter century. 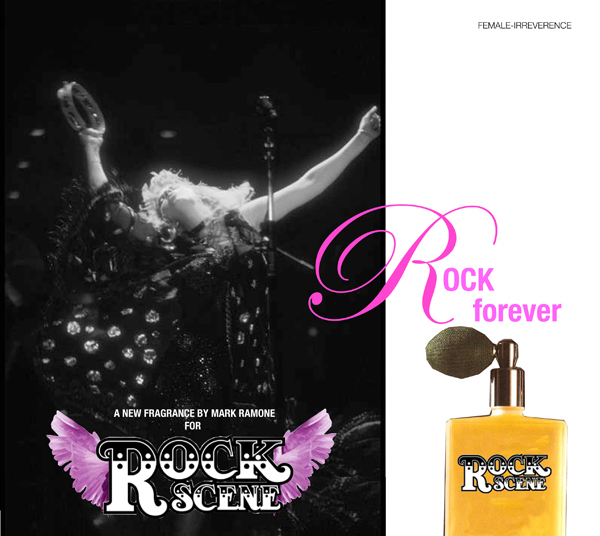 I was asked to help recapture and reinterpret the essence of the brand for a new generation of young women craving to express themselves through whimsy, style and a sense of freedom unseen in other Europen fashion brands steeped in similar strong, exisiting traditions. Store openings, living media, include a film entry into the Berlin Film Festival - and full range of progressive consumer touch initiatives are slated to accompany/integrate with advertising - as one of the world’s great fashion brands prepares to retake its place upon the global stage. 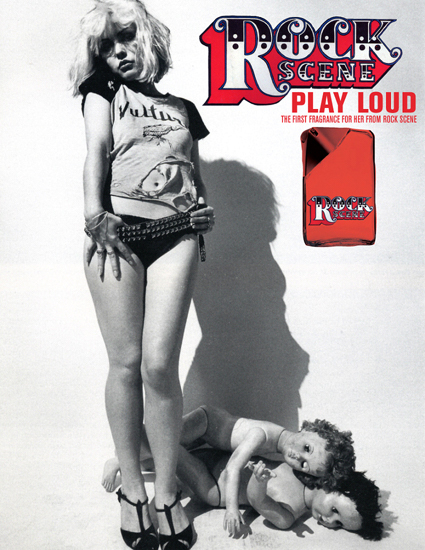 These ads were shot with Marco Maretti and are intended to suggest the evolution of the 1980’s angels that defined the general spirit of the brand. 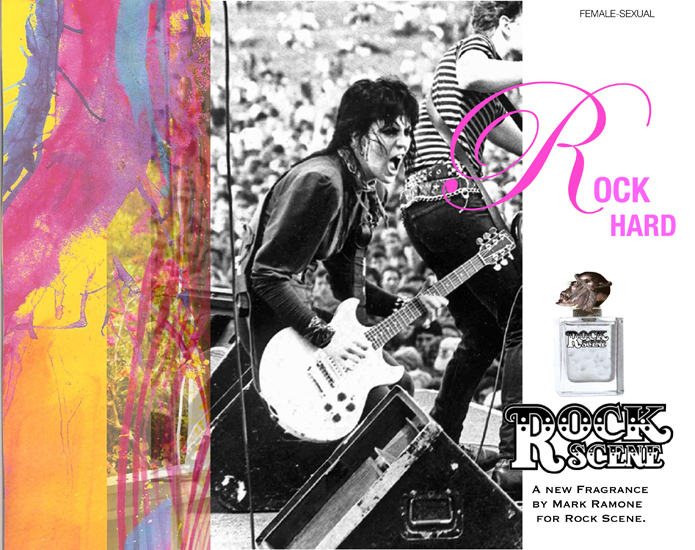 The full re-launch is slated for 2010 and 2011. 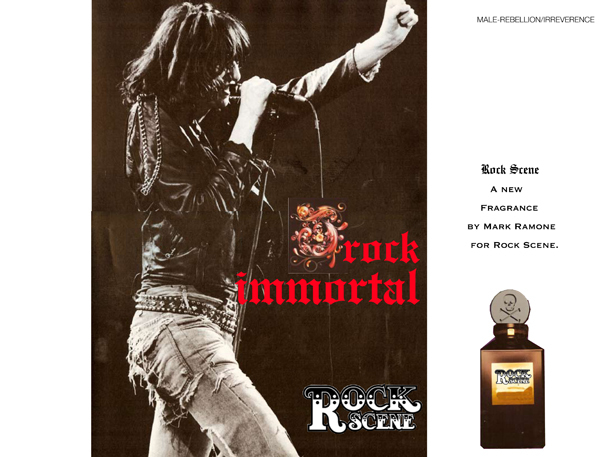 The following ads represent a campaign based on the declaration: I AM. 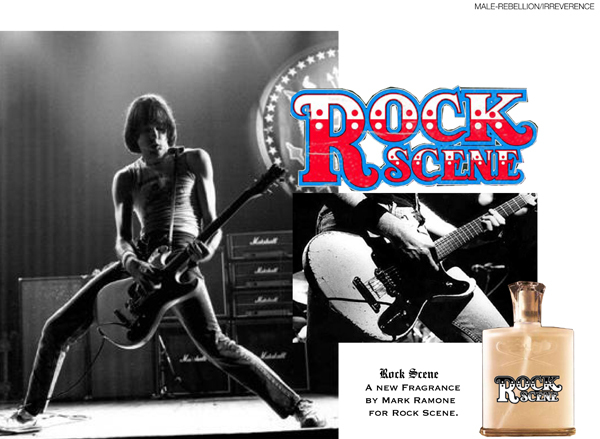 Following the ads, is a lyrical description of the concept behind the campaign. 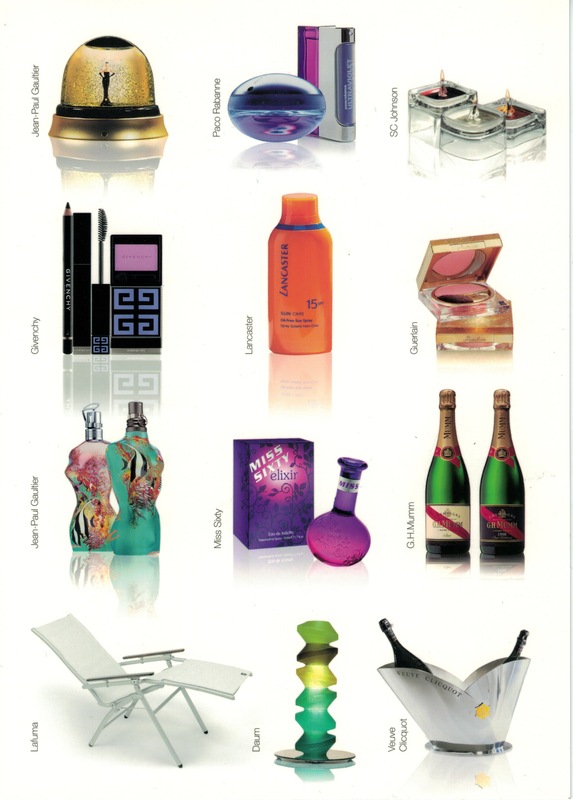 Scroll down and you will find the 2010 and 2011 Look Book and Style Guide which recaps the brand in detail as well as sharing glimpses of the first new Firorucci Store - opening August 2010 in Hong Kong. With flamingos she dances the tango in Spain. She borrows the wings of two low flying angels. to declare that I am. 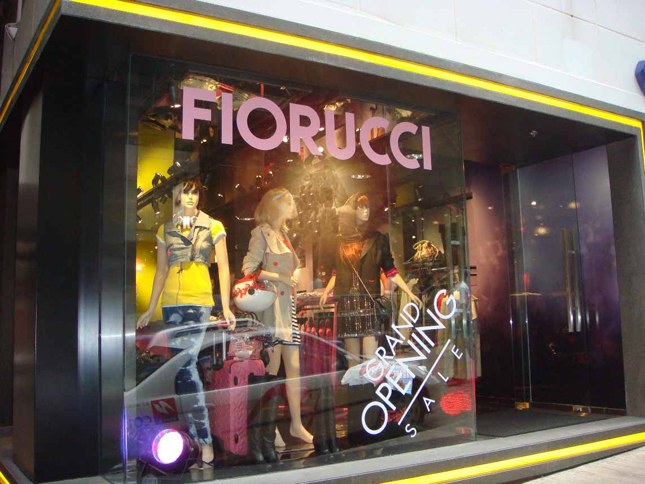 In keeping with the new brand image and authentic foundation of the Fiorucci brand, I helped conceptualize and execute the Firorucci Flagship Store in Hong Kong. 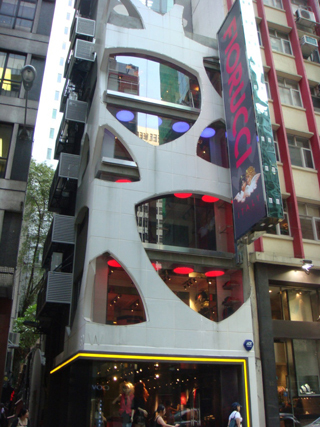 IN A TRIBUTE TO CONTEMPORARY, TECHNO-ORGANIC STYLE, THE NEW, VIBRANT FLAGSHIP FIORUCCI STORE OPENED ITS WINDOWS ON THE WORLD, EXPERIENTIAL TEMPLE, ARTISTICALLY-INSPIRED FLAGSHIP STORE IN HONG KONG IN SEPTEMBER, 2010. CUSTOM-DESIGNED, FREE-FORM CIRCULAR WINDOWS ALLOW CULTURE TO SHINE IN AS WELL AS OUT. OCCUPYING FIVE FLOORS EACH LAYER OF THE SPACE IS INTENDED TO FUNCTION BOTH AS A PLATFORM FOR MERCHANDISE DISPLAY AND ALSO AS A MINI-STAGE FOR IMPROMPTU REFLECTIONS OF CULTURE. 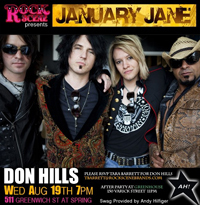 STAGED EVENTS, FASHION SHOWS, ART INSTALLATIONS, MUSIC AND OTHER ELEMENTS OF CONTEMPORARY GLOBAL LIFESTYLE AND CULTURE. IT CAPTURES THE SOUL OF FIORUCCI IN A NEW LOCATION DESIGNED FOR A NEW TIME. FIORUCCI IS LOCATED AT 60 WELLINGTON STREET IN THE HEART OF CENTRAL, HONG KONG, IN BETWEEN THE NIGHT LIFE CENTRE OF HK LAN KWAI FONG (LKF), FLAGSHIP STORES OF MANY OF THE WORLD¹S LEADING LUXURY BRANDS AND THE HK FINANCIAL DISTRICT. 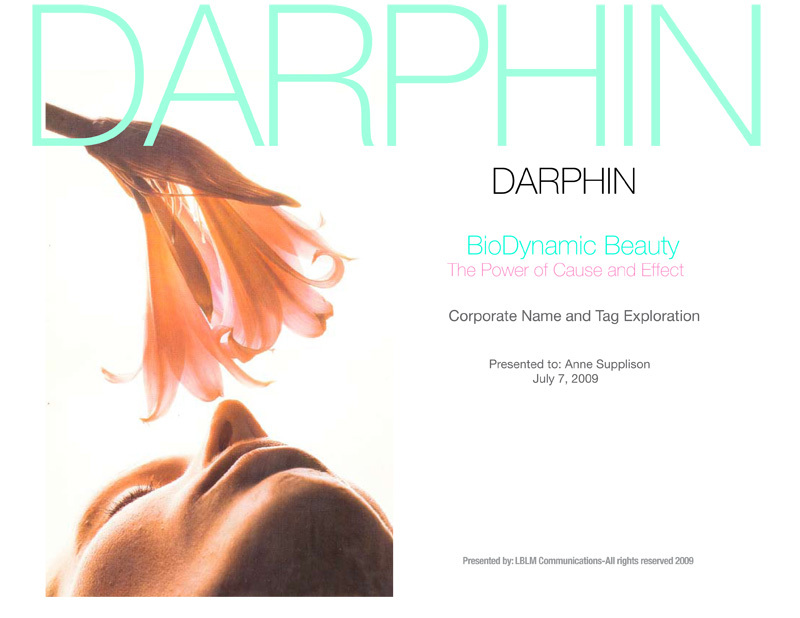 RWhen beauty powerhouse Estee Lauder acquired one of Europe¹s most distinguished natural skin care brands, Darphin ­ a brand with noble roots firmly rooted in the renowned Darphin Centre de Beauté on Paris¹ famed Saint Honoré the question was how to retain the brand¹s heritage and prestige while also positioning it as an updated, unique offering to a global consumer. I was asked to decipher the global codes for natural sophistication and discernment in a way that reflected purity and ultimate chic. The positioning had to reflect the rich heritage of the renowned center. 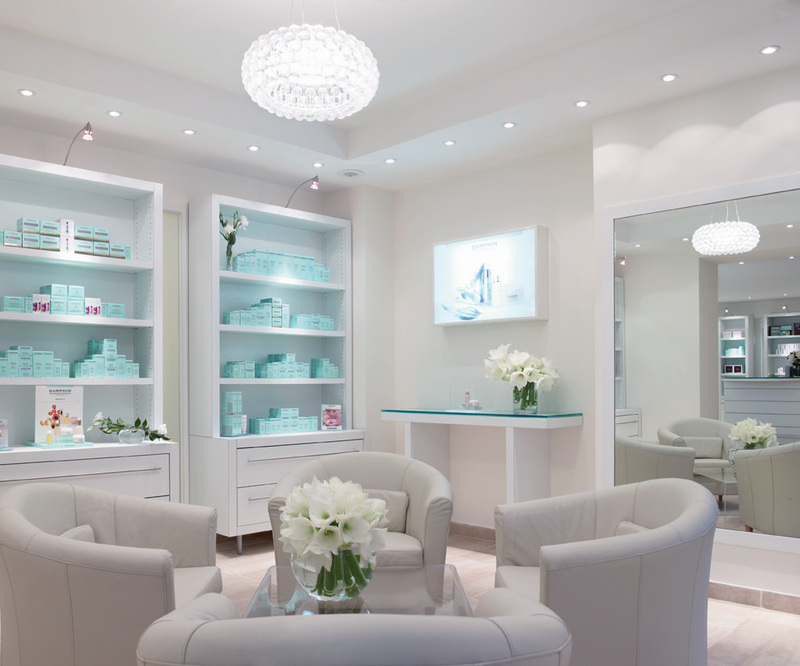 An association with the very best of Parisian spa experience had to be reflected in all communication. 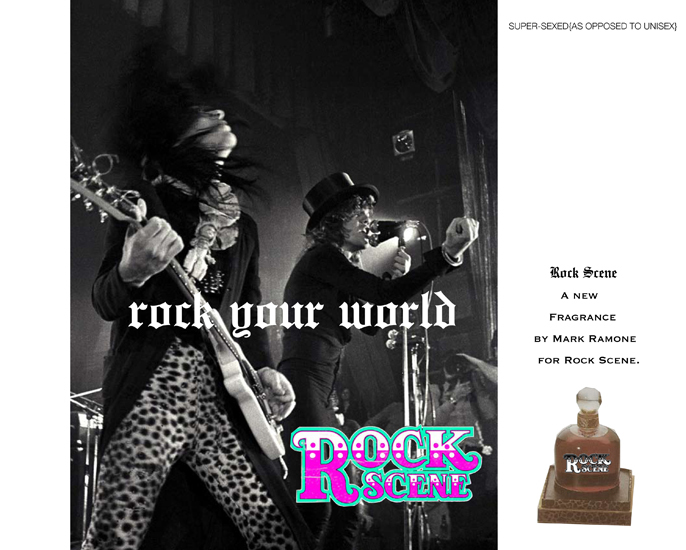 A world of natural refinement had to be recreated in a way that is globally understood. A positioning statement and tags needed to be explored that was the summation of all that is, and will be: Darphin, Paris. 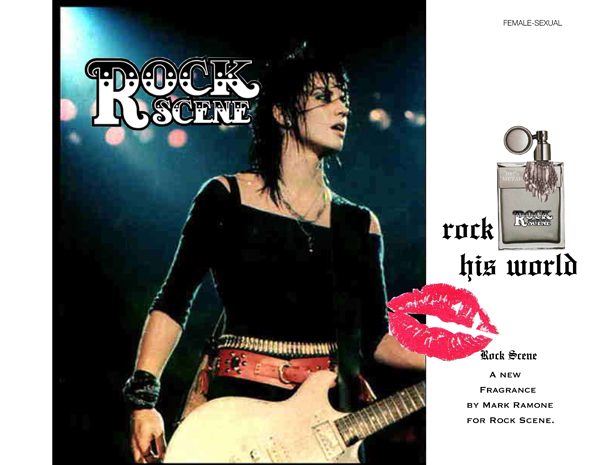 Andy Hilfiger, Tara Barrett and Mark Weiss asked whether the magazine, Rock Scene, popular among rockers of the early ‘80s might find relevance in the form of a fashion and fragrance line meant for today? 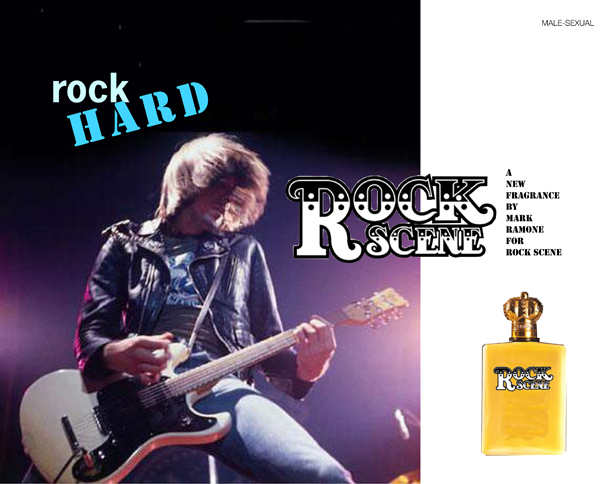 Rock Scene Brands and these preliminary advertisements were the results. 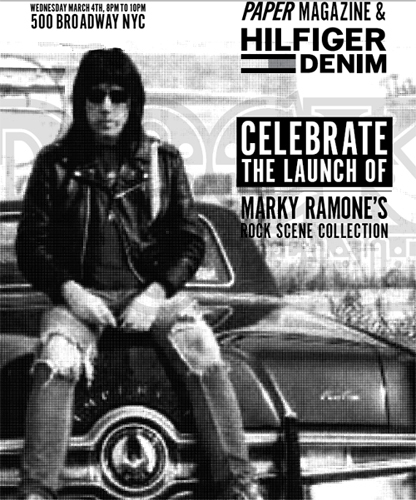 Subsequent to, and inspired by this branding exercise – Tommy Hilfigger has launched the Marky Ramone for Rocky Scene line as a sub-brand of Hilfigger Denim. 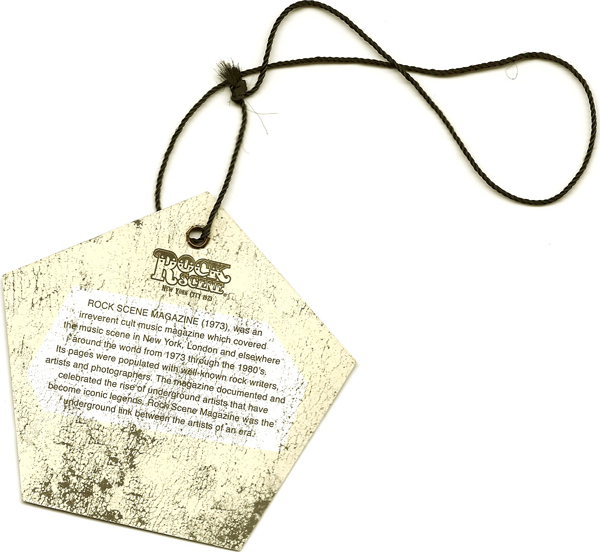 Details of rock scene branding include hang tags and fashion detailing that mimic the shape of guitar picks.